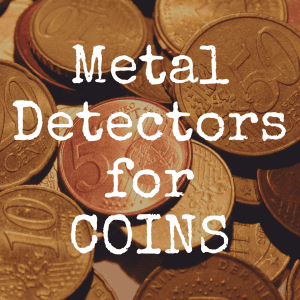 When you decide you want to jump into the metal detecting hobby, it can be very confusing when it comes to finding the perfect treasure hunting machine. You want one that will find tons of buried gems but also be easy to use and work reliably well. And the truth is, until you are sure you will absolutely love detecting, you probably won’t want to spend a ton of money. Therefore, in this article, we’re going to explore how you can best determine what’s a good metal detector to purchase at a value price. We aren’t looking at the high-end models, but we’re also not just dedicating our attention to the cheapest ones on the market. Instead, we’re devoting our time to locating the best value metal detector you can find for your money. When you boil things down, all metal detectors use the same basic design. There is a coil, a control box, and a shaft. The two main features are sensitivity and discrimination, and these are crucial because they determine how successful you will be in finding coins, jewelry, gold, or relics. Where will I be searching? : The area you plan to search will be very important in choosing a device. If you plan to be anywhere near water, you should get a waterproof detector. If you want to use the detector as you scuba dive, you need to get a submersible If the area you will be searching is highly mineralized, you may want to get a pulse induction detector.And if you going to be travelling to hunt? 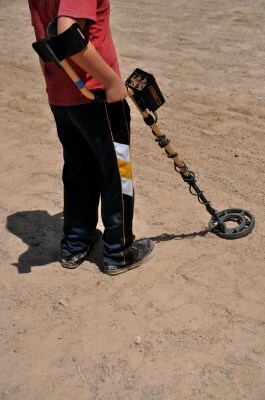 Well, you will want to consider a metal detector that has sections that can easily come apart. What do you want to find? : Most beginners just want to find anything, but once you get used to hunting, you may want to specialize in a certain type of metal. Do you want to find gold, coins, jewelry or relics? Different detectors can search for certain objects easier than others. How big of a machine do I need? : If more than one person will be using the machine (especially if children are going to use it), you need to think about whether the detector is adjustable. You need to consider the weight of the machine, too. A few pounds doesn’t sound like much until you are swinging it back and forth for several hours. The lighter the machine, the longer you will be able to use it comfortably. Will it be easy or complex to use? : Many metal detectors are “turn on and go” machines and this is definitely what you want. Even experienced hunters choose to use machines that do not require a lot of advanced studying or knowledge in order to operate effectively. 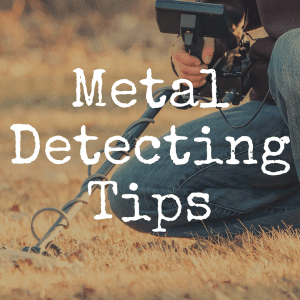 Now that you know what you want your metal detector to do, you can start your search by looking at the features your detector will need so you can find what type of metal you want. As you’re comparing metal detectors, there are some things that will boil down to preference, while others are just really non-negotiable. The most important thing to remember is that you should choose a metal detector that is comfortable to hold and easy to use. Metal detectors that have an LCD screen and a button interface will be intuitive even for beginners. You could also choose metal detectors with knobs where you manually set the discrimination and sensitivity. Think of it like a radio. You could choose buttons for preset channels or you could use knobs to tune to your favorite stations. Either way, you learn which ones are your favorites and you tend to use those the most. The same is true with metal detectors and their settings. Knobs and buttons are both great, but they are just a little different when you’re using them. The two words you will encounter most as you are looking at metal detectors are sensitivity and discrimination, as I mentioned earlier. These are both important and will go a long way in determining how successful you will be in your hunts. Sensitivity determines how much depth the metal detector will search. If you turn your sensitivity higher, the detector will search at lower depths. However, you can’t just set it to the highest level or you might end up with a lot of interference and false signals because the ground mineralization could give off some false alarms. If your detector is beeping frequently, you probably need to reduce your sensitivity. If you’re not sure how to set it, you can always bury a test target and see if your detector will find it. If not, turn the sensitivity up until it does. It’s usually best to keep the sensitivity in the mid-rage until you really get some experience under your belt. Discrimination is another important term you’ll hear a lot in the world of metal detecting. The discrimination helps you determine whether you are detecting a real valuable target or junk, like bottle caps or foil wrappers. Each metal detector is different in how it handles discrimination tones, but almost all of them give unique tones for different kinds of targets. It will take some experience to figure out which tones are indicating that you should dig and which tones are likely just junk that you should ignore. In the beginning, you will probably dig a lot before you find something you really want to keep. Now that you know the basics of metal detector features, let’s talk about your budget. Detectors can range in price from $100 to well over $1000. Do you really need to spend a lot of money to be successful in your searches? No, of course not! 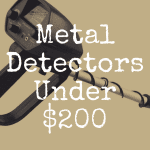 But you do need a quality metal detector no matter what your price range might be. So with that said, let’s take a look at some of the best metal detectors that can be purchased for those looking to find good value. For around $100, you can buy a metal detector that will serve you well as you search for jewelry, coins, or relics. 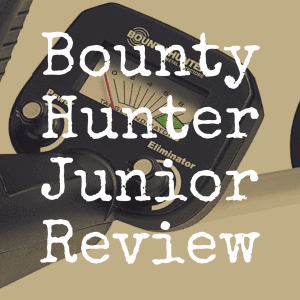 The Bounty Hunter TK4 Tracker IV is one of the best beginner metal detectors and it’s easy on the wallet, too. While it won’t have a ton of high end features, you can still use it to get started and it only takes about a half hour to set it up and start searching. 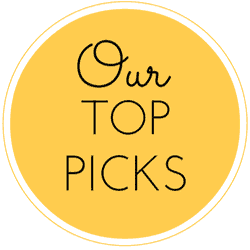 It has simple knobs that let you control sensitivity and discrimination and you will be pleasantly surprised at just how easy it is to use once you get the hang of it! The Ace 150 is a great choice for beginners too. It costs around $150 and has some killer features like an LCD screen, button interface, depth finder, and target ID. This is an entry-level detector, designed for newbies that are still learning the ropes. It comes preprogrammed with three search modes, three depth levels, and four sensitivity settings. The Garrett Ace 150 is a great metal detector for beginners, as well as hunters with more experience. It has three modes, so you can easily choose what you want to search for–you can set the device to find “all metals,” “jewelry” or “coins.” The display on the Ace 150 is very cool and very easy to understand, as well. The depth indicator is very clear and you can easily see what mode your detector is in. The Ace 150 has four sensitivity levels and push button controls. The target ID on this machine isn’t the best you can buy, but for the money, it’s pretty good. The Ace 150 will search to at least 6” and is very easy to operate. 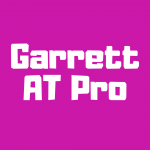 Garrett is well-known and offers great customer service too, if you would ever have questions about how to use the detector or need help with any unexpected issue. At around $160, the Tesoro Compadre is a great choice for newbie hunters that want a lot of bang for their buck. It has a lot of the same functionality as the more expensive Tesoro detectors, but it is designed to be easier to use. It’s a stripped down version of Tesoro’s high end detectors and it’s a great choice for hunting coins and relics in a variety of settings. You can set the discrimination with a quick turn on the knob and the larger 8-inch coil gives you a larger search area and better depth discrimination. Overall, this detector is incredibly simple to use. There is only one knob for you to set the discrimination. You just turn on the device, set your discrimination and start looking for coins. It’s essentially that simple. It is incredibly lightweight at only a little over two pounds and it has built-in metal rejection abilities. A lifetime warranty also comes with your purchase. This is truly a metal detector that proves less is more. This detector easily competes with the more expensive models and out-performs them all. The one negative is that some people really like the LCD display and this one does not have that. The Sharp Shooter 2 is one of the best metal detectors you can get for the money. Prices run anywhere from $150 to $300 depending on where you buy it, so do your research and you can find a good deal! This metal detector has an LCD screen that gives you a quick visual reference to your target ID. It is really great at discriminating between silver, gold, and other metals so you have a good idea of what you’ve located before you ever start digging. It’s easy to use, very lightweight and portable, and overall just a great pick for a budget-friendly metal detector. If you want a powerful metal detector for under $200, consider the Treasure Cove TC-3020. This metal detector has a nice digital display, three distinct alerts, and a durable carrying case. It has excellent discrimination and varied alerts to let you know whether you’ve found iron, silver, gold, or another metal. The Treasure Cove TC-3020 does an excellent job at filtering out false signals and junk finds so you are more likely to discover real treasures instead of wasting time on digging up trash. Any of these five metal detectors would be a great choice for under $200. 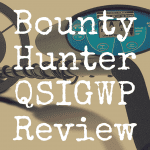 If you are a newbie treasure hunter looking for your first detector on a budget, any of these five detectors would be the perfect solution. And here is one detectors that we feel are really great value given their price point–especially if you plan to use it on the beach and near water (saltwater specifically). For many people, searching a beach is the ultimate in relaxation. And if this is what you are planning, you need to make sure you purchase a metal detector that can be used in salt water, is waterproof, and can be adjusted for the ground conditions at the beach. Salt water amplifies ground minerals and causes many detectors to give false positives or to make constant noises. A wonderful salt water or beach metal detector is the DetectorPro PiratePro. This detector costs around $370 so it is a little more expensive, but it will more than pay for itself with what it helps you dig up at the beach. Best of all, this detector is turn on and go and anyone in the family will be able to use it and have fun, too. It is water proof for shallow water searches in both salt and fresh water. You can even use it in the rain, if you want. The coil on this model is 8” so you can easily pinpoint where you are getting hit from the found metal. One negative to this model is that it only has one tone for its audio ID and many people want a machine that will give off a different tone for the different types of metals. This model can be simply programmed by changing the settings on three dials instead of push buttons. Push buttons are not the best choice for really rugged conditions and dials are often more desirable, especially if children will be using the device, too. With that said, some detectors may not jibe well with certain beaches (for whatever reason), so you may also want to consider the Garrett AT PRO, the Tereso Sand Shark PI, and the Whites Dual Field PI. Was this article helpful? If so, please “like” our brand new Discover Detecting Facebook page! For more great reviews, be sure to bookmark Discover Detecting!